Discover the HOTTEST MASTER PLANNED COMMUNITY & Gehan Homes!! STUNNING 4 bed, 3.5 bath MODEL HOME located on cul-de-sac lot featuring 4 sides brick and loaded with upgrades -- 42" cabinets, sleek granite counters, wood floors, and upgraded carpet. UPSTAIRS GAME ROOM, spacious secondary bedrooms, and HUGE private master retreat. Extended covered patio, front and back sprinkler system, and NO REAR NEIGHBORS!!!! Located in Cypress Fairbanks ISD!! Don't miss this incredible opportunity!! SchoolsClick map icons below to view information for schools near 20702 Riley Copper Dr Cypress, TX 77433. Home for sale at 20702 Riley Copper Dr Cypress, TX 77433. Description: The home at 20702 Riley Copper Dr Cypress, TX 77433 with the MLS Number 44705684 is currently listed at $379,990 and has been on the Cypress market for 108 days. 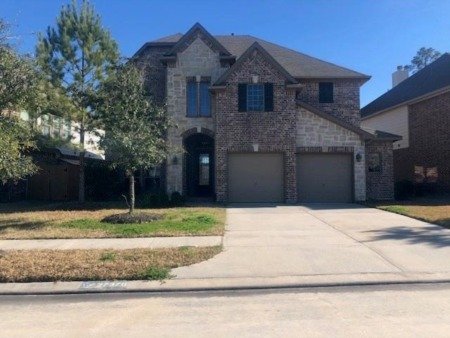 You are viewing the MLS property details of the home for sale at 20702 Riley Copper Dr Cypress, TX 77433, which is located in the Canyon Lakes West subdivision, includes 4 bedrooms and 4 bathrooms, and has approximately 3103 sq.ft. of living area.